We all know that scene from It’s a Great Pumpkin Charlie Brown. Lucy lays down the newspaper and jabs a knife into the top of the poor defenseless pumpkin. Linus is beside himself and cries, “You didn’t tell me you were going to kill it!” Sadly decorating for Halloween involves killing many pumpkins, but with this best way to cut open a pumpkin trick you can do it more easily then Lucy did! I have always loved Halloween, and I have such a fun time decorating and celebrating. I have to admit that I do not enjoy carving the pumpkin though. I keep trying to get Nick to use those kits where you just stick the pieces into the pumpkin. He almost went for it last year, but then he wanted to carve his pumpkin like normal. Part of my problem is that I have arthritis in my hands. Holding a knife and cutting through a thick pumpkin is not only hard to do, but for me it can be downright painful. Preparing the pumpkin for carving can be such a difficult task. You have to cut the pumpkin open, and then you’re scooping out all the inside. On top of it all it’s such a messy thing to do. It was a task that I have always hated, but several years back my mother told me a trick that made it a lot easier. Have you always carved a pumpkin like Lucy? I always had, but not any more. 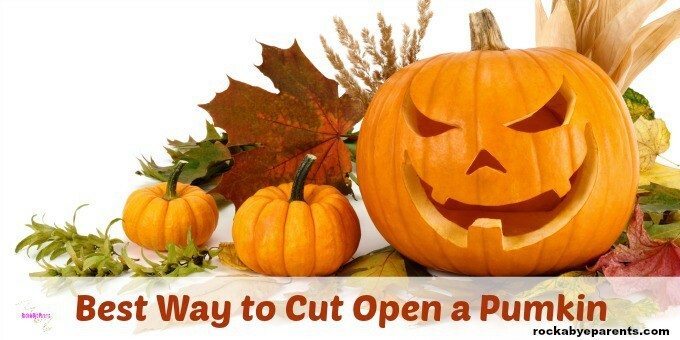 This best way to cut open a pumpkin trick has made opening the pumpkin and gutting it so much easier. Next time you go to open your pumpkin don’t cut into the top. Instead cut open the back of the pumpkin! When I go to open the pumpkin I usually carve a decent sized rectangle out of the back. You want to cut an opening large enough for you to easily get in and scoop everything out. Now, when you open the pumpkin by cutting the top off you usually put the top back on when you’re all done. That won’t work with this technique. Once you cut the back off you’re done with that piece of the pumpkin and you can get rid of it. I like to put it on the back patio for the squirrels to eat, but that’s just me. With this type of opening I find that it’s much easier to scoop everything out of the pumpkin. It’s tough to reach in and literally scoop everything out. It can be hard to get to a lot of the areas when you’re reaching in from the top. 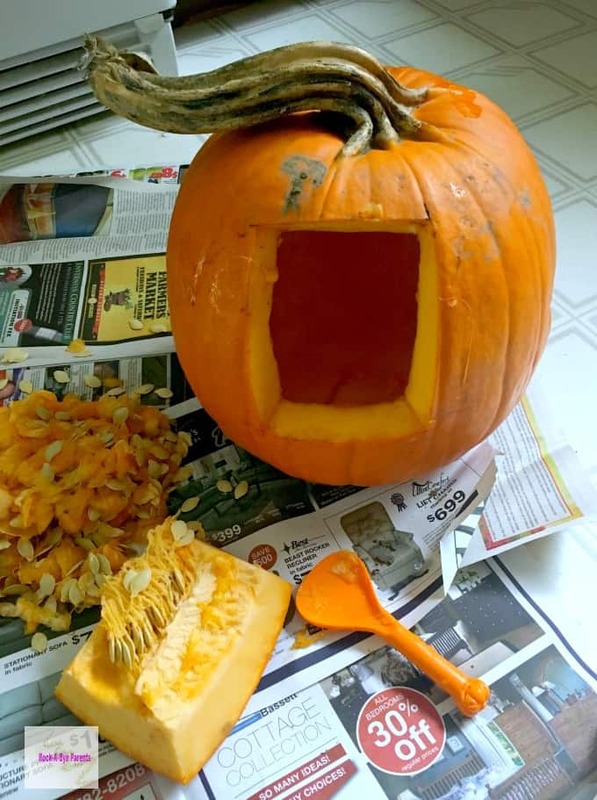 With this type of opening though the hole is closer to the area that needs the most scooping, and you can turn the pumpkin from side to side to more easily get to other areas that you need to. 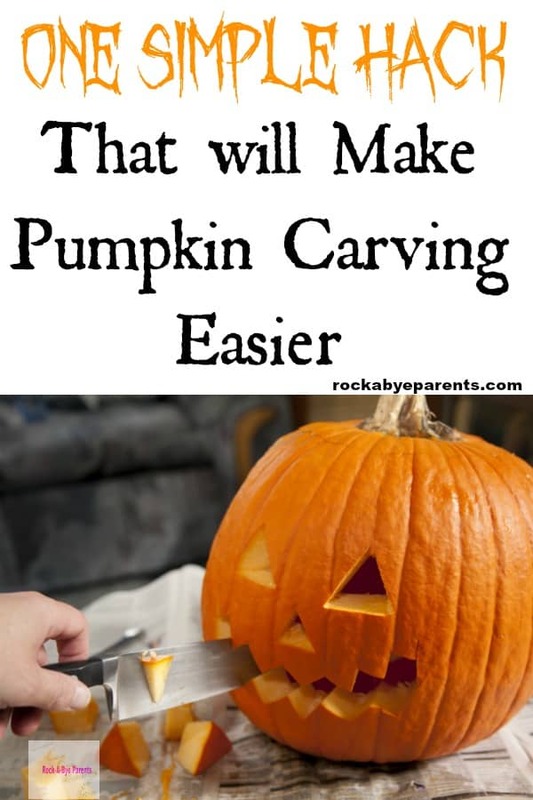 So I love this trick for carving the pumpkin. It makes the whole process a whole lot easier, but that really isn’t what makes this the best way to cut open a pumpkin. That comes when it’s time to light it up for Halloween. I have always hated lighting the candle for the pumpkin. Once you light the match you have to keep it lit the whole way to the bottom of the pumpkin and then get the candle lit in time. It’s not easy! A lighter makes it a little easier, but I’m no good with lighters and the whole process still would make me nervous. Plus, those tea candles never want to light for me when I do it this way! With this trick though you have easy access to the bottom of the pumpkin. 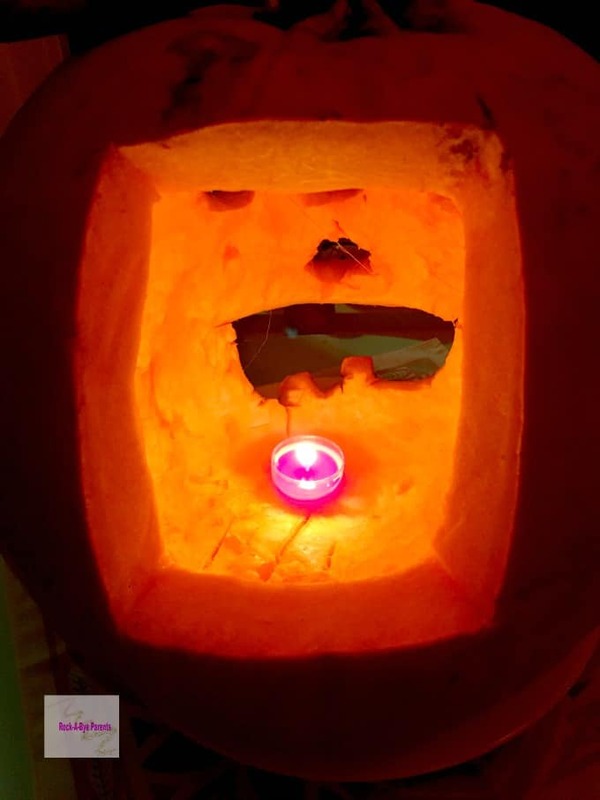 All you have to do is light the candle outside of the pumpkin. Then you can place it inside on the bottom. So much easier! There you have it! After years of opening pumpkins I truly find that this is the best way to cut open a pumpkin to prepare it to carve for Halloween. It makes the process of cleaning out the pumpkin a lot easier. It also makes lighting the candle for the pumpkin simpler and safer. I’ll never go back to the way I used to cut pumpkins open.